On February 8, 1982, Khomeini’s Revolutionary Guards surrounded and destroyed the headquarters and killed some of the most prominent leading figures of the PMOI/MEK. Khomeini –still alive in those days– thought that by dealing such a heavy blow to the opposition, he could put up a show of force, demoralize the staunch supporters of the movement and break their resistance in prisons and outside. It was an unequal battle between thousands of heavily armed guards vs. 20 freedom fighters. He thought victory is certain. However, the champions and shining stars of freedom did not surrender and fought to the last breath, creating an epical scene that strengthened the movement even further. The women involved in this battle left a brilliant legacy in the history of the Iranian people’s struggle for freedom and democracy. These brave women and shining stars did not surrender, resisting and fighting courageously to the last breath to herald a new world for their fellow compatriots. Today, their resolve and courage has been multiplied in the ranks of the pioneering women in the PMOI who lead the Resistance movement. The brightest of the shining stars in this episode was Ashraf Rajavi. ‌Born in 1951 in Zanjan, she received her Bachelors of Science in Physics from Tehran University. But Ashraf’s heart bled for the deprived people who suffered in a country that sits on a sea of oil. Despite having the opportunity to lead a good life, she chose to help the underprivileged and traveled long distances to various cities and villages to learn about their problems and help them find solutions. Born in 1958 in Tehran, she got to learn about the Shah’s oppression in very young age. In 1978, she entered Tehran University to study Laboratory Sciences. As a student, she actively participated in all the anti-government demonstrations of those days. After the Shah was toppled, Mahshid joined the PMOI. She was always very energetic and loved what she did for her people’s freedom. On February 8, 1982, she and her husband and their infant daughter were in the house when the attack began. Mahshid and her husband fought and died courageously in this unequal battle. She was a university student when she joined the PMOI after the 1979 Revolution. Mahnaz was a serious and hard-working advocate of freedom in her university and enjoyed much respect among her friends. Sorayya had a one-year-old daughter whom she put in a safe place, before being killed along with her husband in the clashes on February 8, 1982. Fatemeh was born in 1955 in Tehran. She lost her father when she was very young and their family experienced much hardship but with her own hard work, she managed to finish her high school education and gain admission to one of Tehran’s best universities, the Poly Technique, where she got acquainted with PMOI supporters and began her anti-government activities. After the Revolution, she joined the organization and got actively involved in organizing the PMOI sympathizers in the capital. Fatemeh had two young children when she fought and died on February 8, 1982. Tahmineh was born in 1955, in Gorgan, northern Iran. She studied chemistry at Ferdowsi University of Mashhad. She joined PMOI supporters in her university in 1973 and began her activities in support of the anti-shah movement. She had a nice voice, so she used to be the moderator and announcer in many gatherings of the organization. She and her husband both died in the February 8 attack on the PMOI house and left a child behind. Nahid was born in 1952 in the city of Qouchan, northeast of Iran. After finishing high school, she went to Mashshad to continue her education. Then she got a job as a teacher and started teaching in a school on the outskirts of her hometown, Qouchan. During the revolution, she was very active in organizing the women and girls in her city. After the victory of the revolution, she worked with different departments including the teachers, the students and the mothers associations. Jila was only 17 years old and had not even finished high school. She was a smart young teenager who wished to see her country free and flourishing, so she joined the PMOI. She was very much against the mullahs and their oppression, so she was among the resistant prisoners despite her young age. 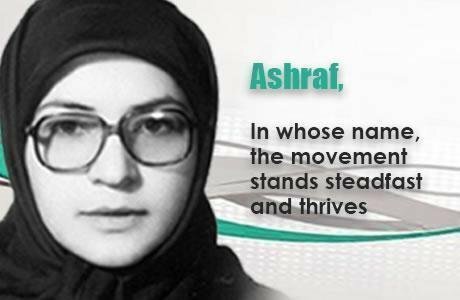 They had flogged her badly and sentenced her to death to force her cooperate with the regime and go on TV and “repent”, but she refused to do so and finally paid a courageous tribute to the bodies of Ashraf Rajavi and Moussa Khiabani, for which she was executed on February 9, 1982. Soghra was born in October 1963 in Tehran to a lower middle-class family. She was only 14 when the Iranian Revolution took place but she participated in all the demonstrations along with her sister and brothers.